If you've never tried Cougar Cheese, then you're definitely in for a treat! Produced by the Washington State University Creamery, this rich, smooth, white cheddar cheese will leave you wanting for more! 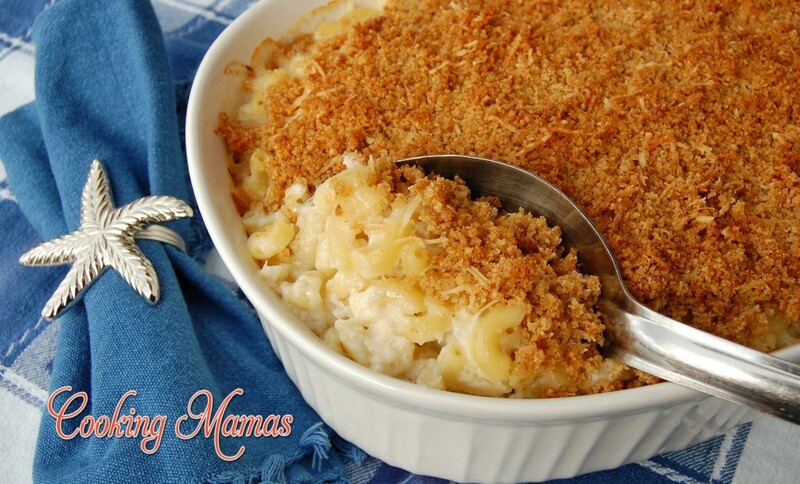 But wait, we take our Macaroni Casserole one step further, and add Sweet Dungeness Crab! Preheat oven to 350 degrees. Bring 4 to 6 quarts of salted water to a boil. Cook pasta until al dente, about 8-9 minutes. Remove from heat, drain and rinse pasta under cold water, set aside. Meanwhile prepare the sauce. In a large 5 quart pan, melt 4 tablespoons of butter over medium heat. Add chopped onion and garlic, stir to combine. Cook until soft and translucent, about 5-7 minutes. Gradually add flour, stirring constantly until smooth, about 1 minute. Slowly add milk, whisking constantly to avoid lumps. Bring to a boil, then reduce heat to a simmer and cook until sauce has thickened, about 2 to 3 minutes more. Remove from the heat and season with Old Bay, salt and white pepper. Stir in shredded Cougar Gold Cheese and cooked pasta. Gently fold in Dungeness crab, if using. Pour the mixture into a 9 x 13-inch glass or ceramic dish. In a small bowl, toss together the bread crumbs and Parmesan cheese. Add 3 tablespoons melted butter, stir to combine. Sprinkle the bread crumb mixture over the pasta. Bake for 20 to 25 minutes, until the top is golden brown and the sauce is bubbling on the sides. 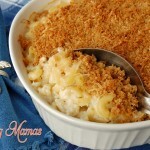 Cook's Note: You can also top this casserole with Ritz crackers or Panko instead of bread crumbs. Made this with the crab! It is so yummy! !